wherever they were tossed at the end of last summer. Some of them will still be in the glove box, clipped to the sunshade or in that special compartment for shades included in some models of car. Other people will find their shades in the change bowl, the pocket of their summer weight jacket, or the junk drawer where all stray accessories wind up. Then there are the people who buy a new pair of sunglasses every year either because they broke the last pair, lost them over the winter, or because they’re fashion divas who simply must have this year’s latest design. Of course, no matter how you handle the yearly need to dig up a pair of shades, if you wear prescription glasses this task is always doubly challenging. If you are one of those people who wears oversized fishing shades over your normal glasses, you may be surprised to learn how many people do the exact same thing rather than buying custom prescription sunglasses. The only question is why you’re still working with that same stop-gap solution when with a few clicks online you could have a pair of shades that perfectly match your prescription and will last for many summers into the future. 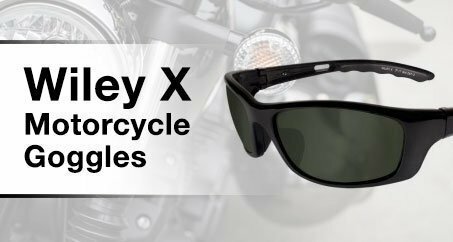 Maybe you didn’t know that Wiley X has an amazing selection of safety-grade prescription sunglasses or that it’s so easy to get them. No matter what the reason, here are our top five Wiley X sunglasses to help you make up your mind and finally get the perfect shades. The first pair of prescription sunglasses on our list is the Wiley X AirRage line. Built with a cool sleek frame, the AirRages have actually been designed for humid and temperature varying climates that would fog normal glasses quite badly. With symmetrical vents that allow for cool air to enter the frame naturally, the lenses will almost never face the kind of hot/cold conditions that usually cause fogging. Beyond this excellent special feature, the AirRage is built to be extra comfortable for smaller faces with a soft strip of foam along the browline to keep sweat out of your eyes under the hot summer sun. Like many versatile Wiley X models, the earpieces are detachable and can be replaced with an elastic strap so you can wear them during sports or on your motorcycle as well as during more sedate activities. As for protection, every AirRage prescription lens exceeds the ANSI Z87 high-velocity impact standard. If you want classic shades straight out of the 80s but with all the perks of modern safety glasses technology, you can’t do better than the Wiley X Brick. These sleek matte black shades will not only keep you looking super cool by the poolside, they can also be quickly transformed into work-ready safety glasses with the simple installation of their removable foam ‘facial cavity seal’ which is essentially a soft pad that backs the area around the eyes to keep out dust, sweat, and debris should you transition from summer lounging to a little backyard construction work. The Brick by default comes with smokey gray lenses for that classic look that also happens to exceed the ANSI X87 high-velocity impact standard meaning they are incredibly safe for both work and play. Finally, while the Brick may look like a simple design, it too contains that special top-down symmetrical ventilation for a fog-free sunglasses experience. For a more modern movie star look, the Wiley X Hudson shades are your perfect cross between new fashion and advanced safety standards. Perfect for lifeguarding, outdoor shopping, or just lounging on the beach, the Hudson frames feature wide squared lenses and uniquely shaped earpieces built to sit comfortably on your ears and little silver hinges adding a touch of functional style to the temples. The lenses themselves are smoke gray with all the coatings you could hope for in a pair of sunglasses. Hudsons come automatically with 100% UVA/UVB protection without distortion, a T-Shell extreme anti-scratch coating, and each and every lens is made of shatterproof selenite polycarbonate that meet the ANSI Z87.1-2010 high velocity and high mass impact standards as well as the OSHA 1910.133(b)(1)(1) standards. While Hudsons may look like fashion, these babies are ready for some surprisingly hard work. is anything but mild-mannered. These sleek seemingly solid frames don’t spend any time on formalities, they get straight to business. Smooth lines in a simple matte black design place the ignite in the front-runner position for the last pair of shades you’ll ever need. Available in simple smokey gray or cool mirrored blue, each lens for Wiley X Ignite shades is made of shatterproof selenite that meets the high velocity, high mass, and OSHA impact standards for eyewear safety. Coated in only the top level UV, scratch, and glare protection, these sunglasses can go with you anywhere. They can live in your pocket, purse, car, or even your toolbox and show minimal signs of wear and tear after years of use. With all those amazing perks, they’re even polarized to make weekends at the lake or driving behind pickup trucks all the more pleasant during your summer activities. ing that you’re wearing some of the sturdiest sunglasses on the planet. Each pair of Nash shades is made with shatterproof selenite lenses and has that excellent Wiley X package deal of UV, anti-scratch, and glare reduction coatings with distortion-free clarity. The smokey gray provides light transmission of 15% and they can easily be ordered with prescription lenses. The Nash also comes with its own special kit of accessories including a microfiber cleaning cloth, a leash cord with rubber temple grips, and a black zippered case to keep them in just in case you decide to go swimming or switch to your normal glasses once you get indoors. Why spend this summer wearing two pairs of glasses just to get relief from the gleaming sun? This year, treat yourself to a pair of high-end Wiley X prescription sunglasses. Every pair is not just rated to bring you excellent visual clarity, sleek design, and high-quality tinting, they’re also all rated to be industry-quality safety glasses. This means you could wear them to work, rely on them for backyard construction projects, and even use them as motorcycle glasses confident in the fact that they simply won’t shatter no matter how roughly you use them. 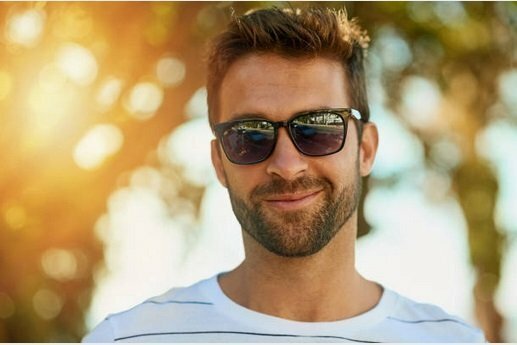 Prescription sunglasses are a freeing experience for the average glasses wearer and it’s long past time for you to get a pair of your own.